The Tennessee Woodturners are holding their 30th Woodturning Symposium in Franklin, TN on the 26th and 27th of January. Featured demonstrators are Stuart Batty, Jimmy Clewes, Mike Mahoney and Betty Scarpino. There will also be an instant gallery with awards in several categories, and a banquet and auction. The full symposium fee is $155 is paid by December 31st. 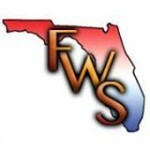 Lots more information on the Florida Woodturning Symposium site. The 2018 symposium is scheduled for January 27 & 28, 2018 at Hardware Specialties in Anchorage, AK. Featured turners are Glenn Lucas, Nick Agar plus local turners Bob Congdon and Jeff Trotter. There will also be the opportunity for hands-on classes with Glenn and nick prior to and after the symposium dates. Cost for the symposium is $50/day if paid in advance. More information can be found at the Alaska Woodturners Association symposium page. The Florida chapters of the AAW joined together in 2001 to hold the first Florida Woodturning Symposium. Held annually, the 2018 symposium is scheduled for February 9 – 11. Demonstrators include Miriam Carpenter, Mark Sfirri, Michael Hosaluk and Tim Yoder, as well as several regional demonstrators. In addition to the demo rotations there will also be workshops available with Dixie Biggs, Rudy Lopez, Don Geiger and others. Full registration fee for the rotations is $135 before January 1, 2018. Half-day workshops are $55. There are a lot of other activities and perks so make sure to check out the Florida Woodturning Symposium website.